For those of us needing to follow a gluten-free diet, baobab powder makes a wonderfully tasty alternative to using flour as a coating for chicken. Instead of the blandness of wheat flour, baobab powder gives a zesty tang to the chicken and combined with the toasted nuttiness of sesame seeds, makes for a quick and easy, yet nourishing and wholesome meal. Baobab powder is loaded with Vitamin C, calcium, magnesium, potassium and digestive fibre. Our diets are often deficient in these minerals and as baobab powder is such an excellent source of these nutrients, why not include it in your diet whenever you can? 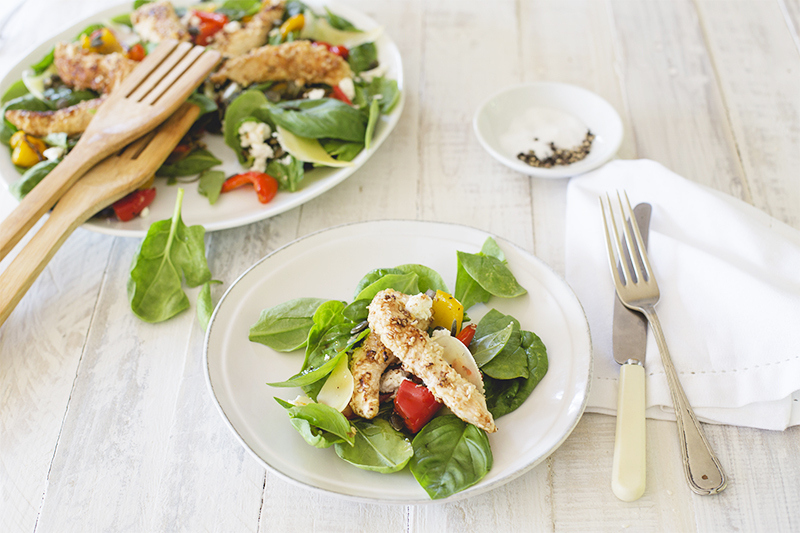 For this baobab chicken recipe, we’ve chosen to make a deliciously light and colourful summer salad. But the recipe works equally well for a more substantial evening meal with vegetables: boiled garlicky-buttery potatoes and green beans or broccoli work brilliantly! Especially developed and photographed for EcoProducts by Candice Douglas of the Social Post, this is a tried and tested recipe that focuses on exceptional taste using locally produced natural ingredients. Cut chicken fillets into strips. 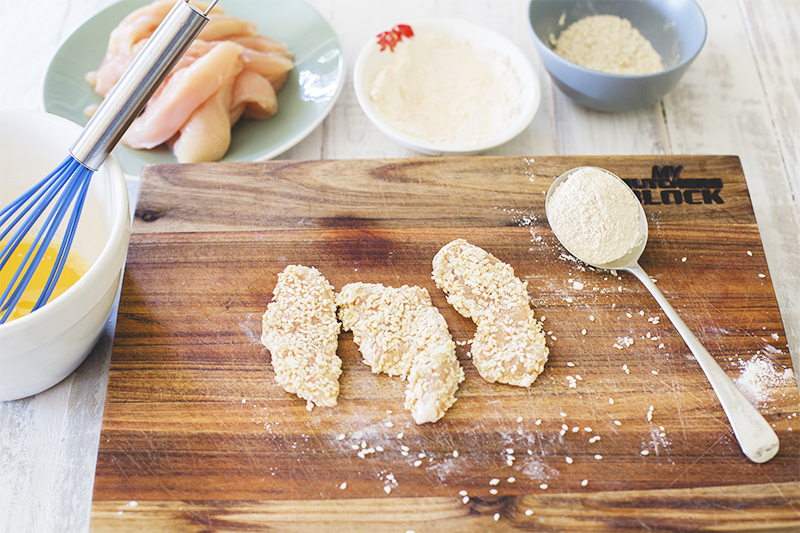 Coat the chicken strips by dipping them first in the egg, then in the baobab powder, and lastly the sesame seeds. Fry in a little oil for approximately 1 minute or until cooked through, turning over to brown both sides. For a substantial salad that will wow your guests or make for a hearty lunch, halve the above recipe and serve on a bed of baby spinach and basil leaves, with rosemary-roasted red and yellow peppers*, feta, pecorino slivers, and toasted pumpkin seeds. *Roughly chop peppers and toss in olive oil with the leaves of 2 or 3 sprigs of fresh rosemary, being sure to coat the peppers and rosemary well. Oven-bake for 15-20 minutes at 200ᵒC, keeping a watchful eye, and stirring the peppers once or twice to prevent burning. Allow to cool while preparing the rest of the salad. For a simple dinner, serve with your favourite roasted or steamed vegetables, and basmati rice or sweet potato wedges.